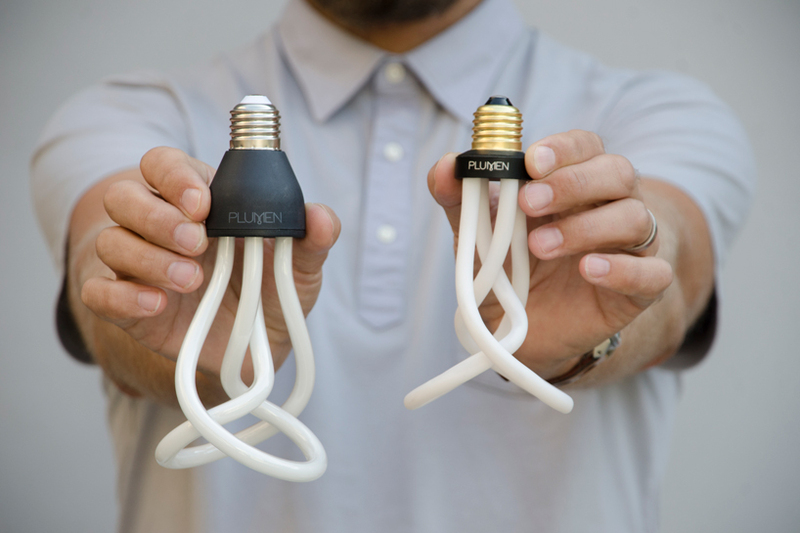 founded in 2010 by nicolas roope and michael-george hemus, plumen burst on to the design scene with the original 001 lightbulb -said to be the world's first designer low energy light bulb. 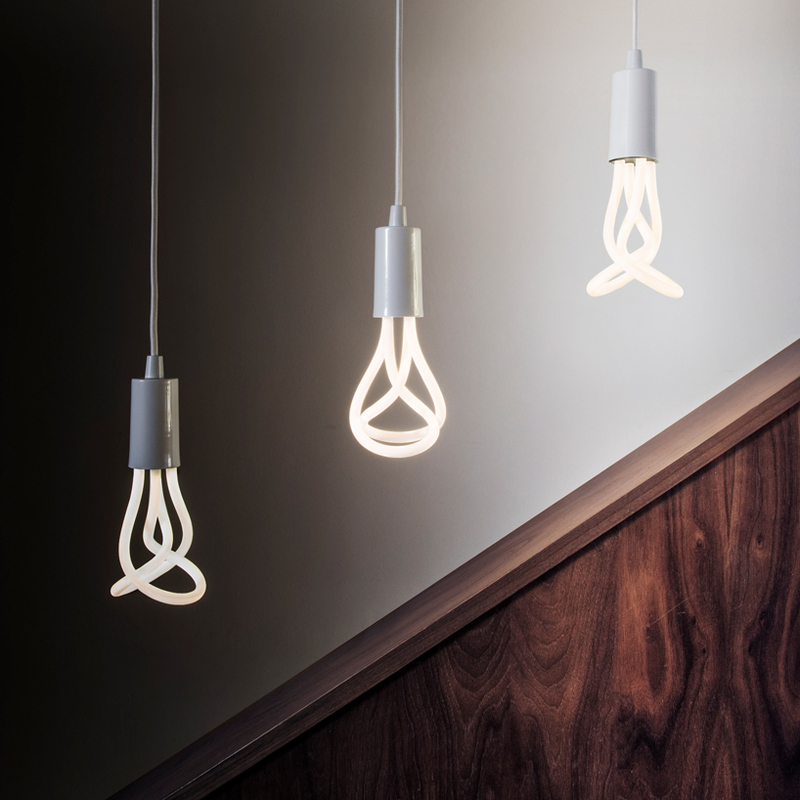 their foundation was inspired by the fact that the humble lightbulb - the very symbol of new ideas – hadn’t really been evolved in almost 150 years. their lighting designs are beautiful, playful and provocative on the exterior. on the inside, they are designed to have long lifespans and use up to 80% less energy than an incandescent bulb. 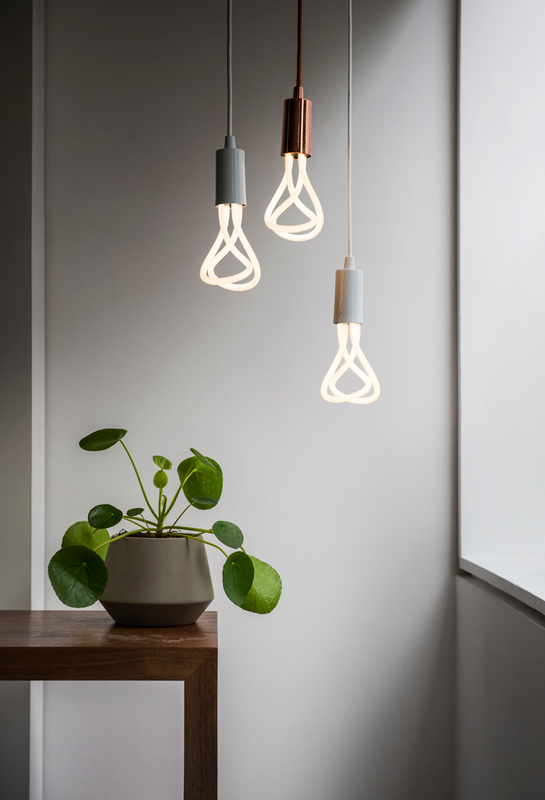 plumen – famed for their energy-efficient designer lightbulbs – has reincarnated their iconic 001 LED, raising the bar once more with their contemporary design. as well as offering even more exceptional light quality, the product unites form, function and innovation. 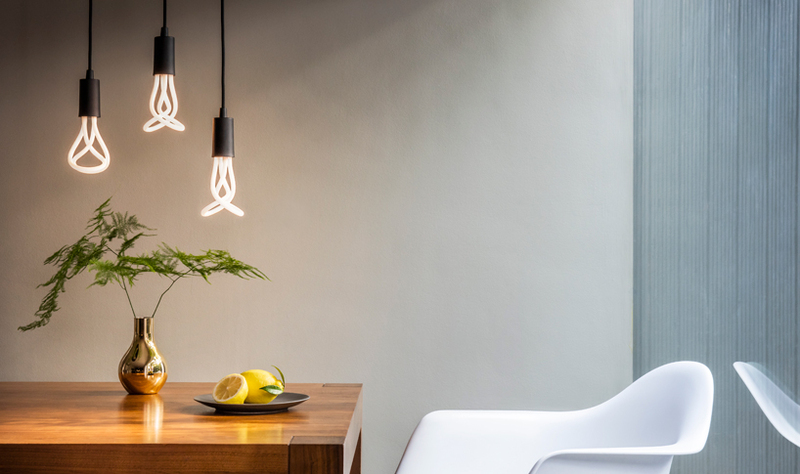 the new plumen 001 LED enhances an advanced, patented LED construction that replaces the previous compact fluorescent technology. this enables greater control, performance and longevity – being completely dimmable and having a lifespan of over 20,000 hours. it still retains the original and instantly recognizable double-looped shape, but is now available in three color temperatures: super-warm, warm and cool. 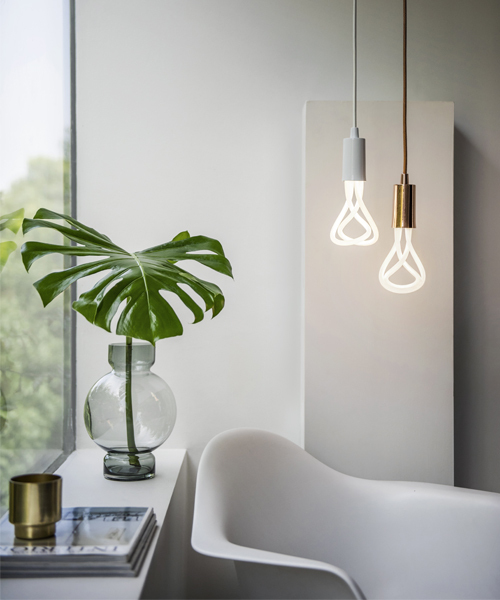 the new technical inner-workings of the lightbulb ensures a sleeker form is achieved, which, in turn, creates a design that appears more elegantly with fittings and shades. 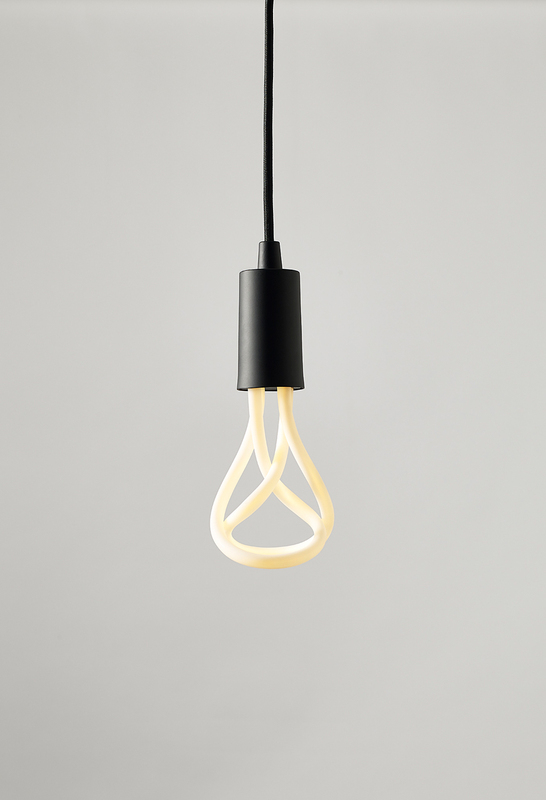 its materials have also changed; it is composed of a ceramic housing that establishes a more premium finish, while LED tubes provide a matt finish. furthermore, neither aluminum nor mercury have been used, meaning the bulb can be fully dissembled and is 100% recyclable.